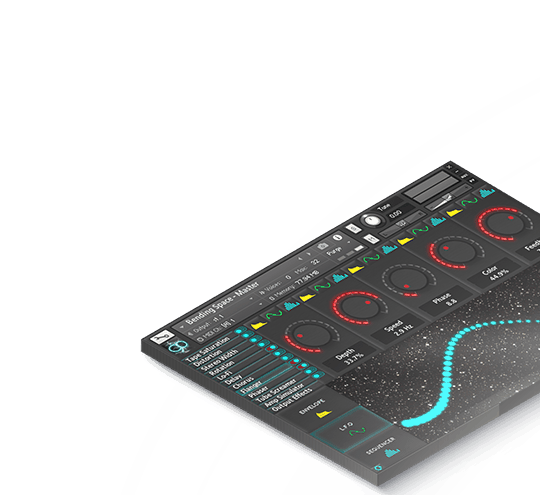 Each and every month you can have a chance to win one of our leading SFX, music, or audio libraries and build your unique stockpile of audio assets into a powerful secret weapon for bringing your projects to life. Just complete the form below and you’ll be included in this months drawing for a chance to win the Epic Stock Media Great Sounds Giveaway! (Read the official rules below.) Come back to this page each month to enter. Check out our winner’s page here. 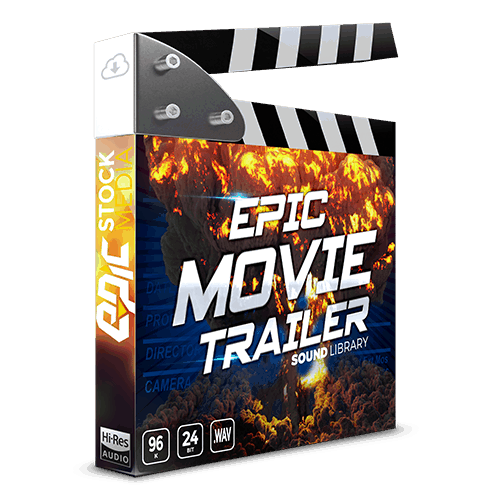 Enter to Win Epic Movie Trailer Sound Effects Library with the Epic Stock Media Great Sounds Giveaway! Some cinematic hot sauce, Epic Movie Trailer is filled with deep subsonic impacts, breath halting deep bass hits and depth setting designed sounds. Movie inspired sounds and effects that are ready to drag and drop into your next project. NO PURCHASE NECESSARY TO ENTER OR WIN. THE PURCHASE OF ANY GOOD OR SERVICE WILL NOT INCREASE YOUR CHANCES OF WINNING. THESE OFFICIAL RULES (“RULES”) ARE A LEGALLY BINDING AGREEMENT BY AND BETWEEN YOU AND SPONSOR AND GOVERN YOUR ENTRY IN THE GIVEAWAY. SPONSOR: The sponsor of this Great Sounds Giveaway (“Giveaway”) is Epic Stock Media. (“Sponsor”). GIVEAWAY ENTRY PERIOD: The Giveaway period begins and ends at the time specified in the Giveaway (“Promotion Period”). All entries must be received during the Promotion Period. ELIGIBILITY: The Giveaway is open anyone who is 18 years or older at the start of the Promotion Period. Current or former employees of Sponsor or its suppliers, representatives, and agents, their immediate families, and/or members of their households are not eligible to enter. HOW TO ENTER: To enter go to https://epicstockmedia.com/giveaway/ (“Epic Stock Media Website”) during the Promotion Period, and fill out all requested information. Limit one (1) entry per household per month/Promotion Period. The Sponsor reserves the right to, and at its sole discretion may, reject any entry for failure to comply with these entry requirements. WARRANTIES AND CONSENTS: By entering the Great Sounds Giveaway during the Promotion Period, you: (a) represent and warrant that you have read, and agree to be bound by, these Rules; (b) consent to the use of your name and/or likeness by the Sponsor for promotion purposes through any media now known or hereafter developed, without additional compensation or authorization unless prohibited by law; (c) consent that by entering the Great Sounds Giveaway, you grant Sponsor the right to contact you via telephone or electronically; (d) agree that Sponsor reserves the right to cancel, terminate, modify, or suspend the giveaway, reject any entry, or make any revision to the Rules as it deems necessary; (e) agree to be bound by the interpretations of these Rules and decisions of the Sponsor which are final in all matters relating to the Giveaway; and (f) agree that all claims arising from or related to these Rules or the Giveaway must be resolved in the federal or state courts located in Davidson County, Tennessee. SELECTION OF WINNERS: Winners will be selected in a random drawing (“Drawing”). The Drawing will take place within seven (7) days following the close of the Promotion Period. Odds of winning depend on the total number of eligible entries received. WINNER NOTIFICATION: The Sponsor will notify the winner by emailing the winner within seven (7) days of the Drawing (“Prize Notification”). To claim the prize, the winner must verify his or her mailing address, and any other personal information required for Sponsor to issue the prize, within 14 days of the Prize Notification, or an alternate winner will be selected. In no event is Sponsor required to attempt to contact the winner more than once. The prize will be forfeited if the winner cannot be reached; the winner cannot accept or receive the prize for any reason; the winner fails to respond to the Prize Notification in a timely fashion; or the winner has violated the Rules. Prize winners are responsible for all federal, state, and local taxes. GENERAL RULES: The Great Sounds Giveaway is void where prohibited by law. By accepting a prize, all winners agree that Sponsor, their affiliates, and all of the officers, directors, employees, representatives and agents of Sponsor, will have no liability whatsoever, and will be held harmless by winner for any liability for any injury, loss or damages of any kind, to winner or other person, including (without limitation) injuries, loss of damages arising out of or relating to death, and, injuries, damages, or losses to property due in part, directly or indirectly, from the acceptance, possession, use or misuse of the prize or participation in this giveaway. In the event that a third party provides the prize, Sponsor will not be held liable for any and all issues (including any lawsuits, loss or damages of any kind) arising between the winner and the third party.